GW20130805-39479 | Geoff Walker – Photographer, New Zealand and Uganda. Published January 5, 2014 at 825 × 1230 in 2013-08 Hot August Ugandans!! 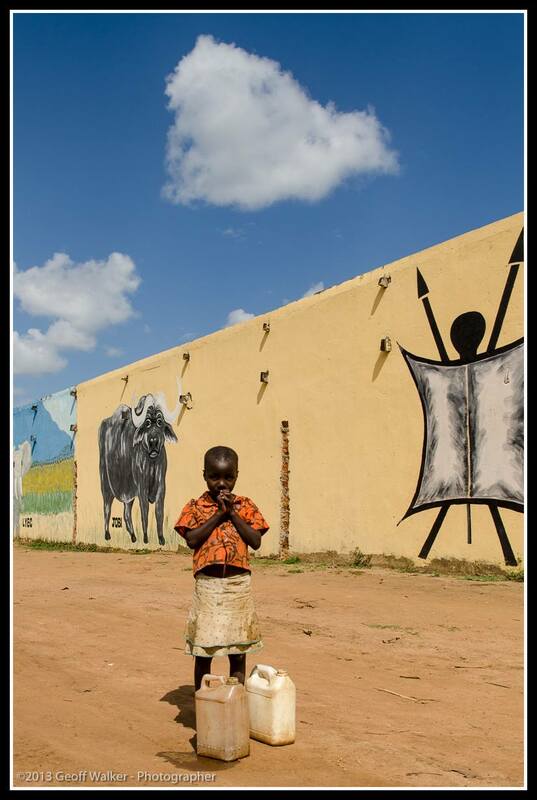 Young man off to fetch water from the bore hole outside the frshly decorated wall of the Rackoko Guest House.